Maybe now your thinking, “At last he is getting around to what we really need!” But don’t hear what I’m not saying. I’m not talking about fund raising, as in raising funds to pay for the budget. Now, there is nothing wrong with that . . . if it is within a broader context of helping people be spiritually liberated to live on less in order to share more with those in need and for God’s causes. In other words, I’m not talking so much about the church’s need for more money . . . as I am the disciple’s need to have the sort of relationship with God and money and possessions and their neighbor that Jesus talked about. And Jesus did talk about money and possessions a regularly. In fact, a preacher would have to speak about stewardship issues once a month to keep up with Jesus. So, what does God what for us financially? That said, it is the responsibility of every congregation to help people come to see what God wants for them financially. This only makes when we gain some perspective on our own culture. We live in a culture that is characterized by materialism (It is all about the stuff! ), consumerism (Gathering more and more stuff!) and easy debt (Spending more than you make to gather even more stuff!). In our culture, this is considered normal. This is the air we breathe. We measure people’s self-worth by their houses and cars, their clothes and toys. Like addicted persons, we want more and more. How much is enough? And being in debt has now become ordinary. Most people live month to month without paying off their credit cards and that’s considered normal. Now the reality is that when people live like this, they can’t tithe to God’s causes and they can’t give to people in need because they are already living beyond their means. We celebrate the compassion of the Good Samaritan, but we ought to celebrate that the Good Samaritan lived within his means and therefore had money that could be used to help someone in need. 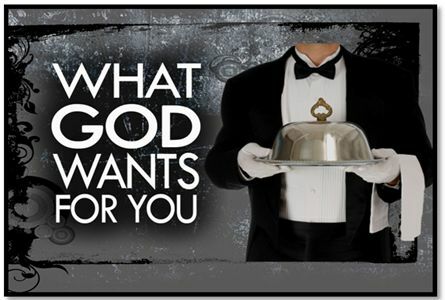 So, what does God want for us financially? There are many ways of talking about God’s counter cultural desire for God’s people. Here is how I have grown to talk about it recently. God wants his people to live with a sense of Gratitude that comes from knowing that everything that we have is a gift from God (Psalm 100). And God desires for his people to have a sense of Contentment that comes from trusting that God will indeed “give us this day our daily bread.” But it is not all about us: God wants us to have Compassion for those who are in need. In the parable of the sheep and goats in Matthew 25, Jesus says that how we treat those in need is how we treat him. Clearly though, this compassion isn’t just a feeling of empathy or sympathy, but should spill over into deeds of Generosity. And in order for this to happen, we can’t live a lifestyle that is built on materialism, consumerism and easy debt. We must learn to live on less than we make – because life does not consist of cars and cloths or food and fun -- so that we are able to be extravagantly generous. So how is your congregation helping people become less in debt as they resist choices driven by a lifestyle of materialism and consumerism? And how are you helping people grow as disciples to live lives characterized instead by gratitude, contentment, compassion and generosity? Many congregations are discovering that Financial Peace University (FPU) by Dave Ramsey is a great tool to help people wrestle with the economic realities of their life. Especially when the leaders of a congregation model getting their financial lives in order, FPU can not only change people’s personal lifestyle economically and spiritually, but in many congregations has had a significant impact on the congregation’s financial bottom line. If you are interested in knowing more about Financial Peace University, check out www.daveramsey.com/FPU .